When you install and set up Windows 10, you’re asked to choose a system language. You can change the language later on and we’ll show you how. We’ve talked about changing the system language in Windows 8. Today we’ll look at how to change the system language in Windows 10 for the current user, for all new users, on the Welcome screen, and how to make the added language the system default. If the system is currently displaying a language you don’t know, refer to the screenshots to know what to select and where. The icons and button locations are the same in any language. Normally, you don’t need to change the language after the initial setup. But there may be some situations where you do. Maybe a relative or friend from another country is visiting and wants to use your computer. We recommend creating a standard user account 5 Tips for Managing Windows User Accounts Like a Pro 5 Tips for Managing Windows User Accounts Like a Pro Windows user accounts have evolved from isolated local accounts to online accounts with various privacy challenges. We help you sort out your accounts and find the settings that work for you. Read More for them to use. Then change that user account’s system language to their preference. If you bought a second-hand computer that’s set up with a language you don’t understand, you can, of course, change the system language. 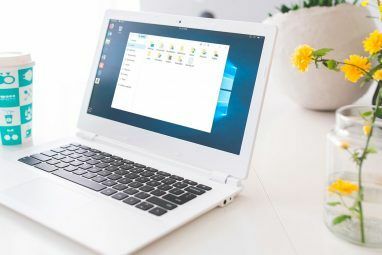 Hopefully, the previous owner remembered to securely delete their personal files How to Securely Delete Files From Your HDD or SSD in Windows How to Securely Delete Files From Your HDD or SSD in Windows Did you know files never actually get deleted? That's why they can be recovered; by you or someone else. If this makes you feel uncomfortable, learn how to securely delete files. Read More or to securely delete everything on their disk drive 4 Ways to Completely Delete Your HDD 4 Ways to Completely Delete Your HDD When selling an old computer, or HDD, or even if you're just looking to dispose of it, securely erasing everything on your hard drive is very important. But how do you do that? Read More before they did a fresh install of Windows for you. Go to Start > Settings > Time & language. Switch to the Region & language tab. Under Languages, click Add a language and choose the desired language from the list. Back on the Region & language tab, click the Options button for the new language to check whether you need to Download the language pack. To apply the new language to the system, click Set as default. You’ll have to log out and back in for the change to come into effect. 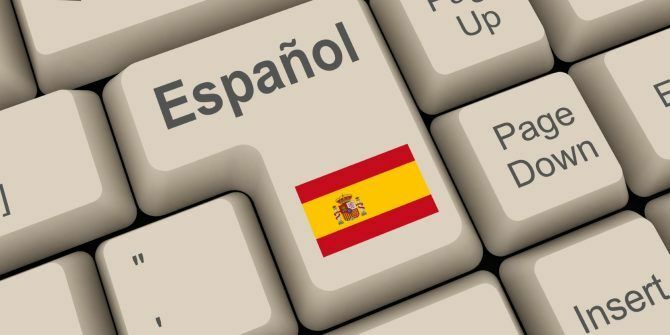 For further tweaks to the Windows 10 system language, like adding a keyboard for a particular language or applying a new language to all user accounts, keep reading. The Region & language options are in the system settings. Click the Start button and then click the gear icon on the left side of the Start menu. On the Windows Settings screen, click Time & language. To add a language, click Region & language on the left side of the Time & language screen and then click Add a language on the right. A long list of available languages displays on the Add a language screen. The languages are all listed in their native language and in the current system language. This way, even if the system is currently displaying a language you don’t know, you can still find your preferred language in the list. Scroll through the list and click on the language you want. You can also search for the language you want using the Search box at the top of the window. Type the language name and then click on the result you want. Some languages are spoken in multiple countries but vary slightly in each one. If that’s the case, you’ll see another screen with additional choices. Click on the language for the country you want. Once you’ve selected your language, it’s added to the list under Languages on the Region & language screen. If you need to download a language pack for the newly added language, you’ll see Language pack available under the language name. To download the language pack, click on the language and then click Options. When you first access the options for the selected language, you’ll see Searching Windows Update for language features under Language options. When that’s finished, you’ll see Basic typing, Handwriting, and Speech, all with Download buttons under them. Click the Download button for each option you want. Once the language pack is found in Windows Update, you’ll see a Download button under Download language pack. Click the button to download and install the required language pack. You can’t use the language without the language pack installed. Once Basic typing is downloaded, you’ll see the Spell checking dropdown list with the following options: Traditional and new spellings, Traditional spelling, and New spelling. Select the option you want. The message Language pack installed displays when the language pack has finished installing. The Handwriting and Speech options may not be available for the selected language. If they are, click Settings to set up the options. Click the left arrow in the upper-left corner of the window to go back to the Region & language screen. A standard keyboard is added by default for the language you chose. If you want to add another keyboard, click Add a keyboard and select one from the popup list. Once the language pack is downloaded and installed, the language is ready to use. To set the newly added language as the default language, click the language on the Region & language screen, and then click Set as default. Log out and back in to use the new language in the current user account. The language you chose to set as the default is now listed first under languages with a message saying that it will be the display language after the next time you sign in. When you have more than one language listed on the Region & language screen, the current default language displays on the right side of the Taskbar next to the date and time. When you move your mouse over the language indicator, you’ll see a popup displayed in that language. Changing the language as we’ve described so far, only applies to the current user account. You can also force the welcome screen, and any new user accounts you create from now on, to display in that language also. This way, everything in the system is in your desired language. 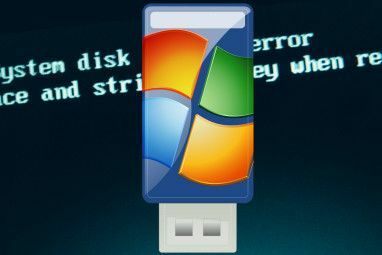 Even though the Control Panel is being phased out Why Microsoft Is Killing the Windows Control Panel Why Microsoft Is Killing the Windows Control Panel The Control Panel is being decommissioned. In Windows 10, the Settings app has adopted most of its features in a more stylish and mobile-friendly interface. Is that really necessary? Read More , we still use it to apply language changes to the entire system. Type “control” in the Search box on the Taskbar. Then, click Control Panel under Best match. In the upper-right corner of the Control Panel window, select either Large icons or Small icons from the View by dropdown list. On the Adjust your computer’s settings screen, click Region. On the Region dialog box, click the Administrative tab. Then, click Copy settings. The Welcome screen and new user accounts settings dialog box displays, showing the current display language for the Current user, Welcome screen, and New user accounts. You can’t change these individual settings here, but you can set the current display language as the new system default by checking the Welcome screen and system accounts and New user accounts boxes. Click OK and restart your computer. The language you chose will be set as the default for the entire system once your computer reboots. If you only added another language for someone who was visiting, you may not want to keep it on your computer once they’re gone. You can remove a language if it’s not the only one on your computer. When you have more than one language on your computer, the easiest way to access the language settings is to click the language indicator on the Taskbar and click Language preferences. Before removing a language, you must select a different language as the default. You cannot remove the current system language. All you need to do is select another language as the default. You do not need to log out and back in. Once the language you want to remove is not the default, click on that language on the Region & language screen and then click Remove. When you only have one language on your machine, the language indicator is removed from the Taskbar. If you know you’re not going to use a language again, you can uninstall it. But, if you think you might use the language again, you should not. When we tried to add the language back, after uninstalling the language pack, we had trouble installing the language pack again. If you decide to delete a language pack, press Windows key+R to open the Run dialog box. Type “cmd.exe” in the Open box and click OK. The Install or uninstall display languages dialog box displays. Check the box for the language you want to uninstall and click Next. The progress of the installation displays. To close the Command Prompt window, type “exit” at the prompt or click the X in the upper-right corner. Restart your PC to complete the uninstallation process. Windows 10 comes with a lot of languages making it likely to accommodate your language needs How Windows Has Become More User-Friendly, 5 Examples How Windows Has Become More User-Friendly, 5 Examples Over time, Windows has smoothed rough edges and created a more user-friendly experience, especially for novice users. 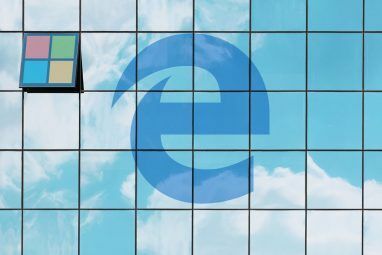 Here are five big reasons that Windows is easier to use than ever before. Read More . You can easily change the system language as needed. Have you changed the language on your Windows PC before? How easy or hard did you find the procedure? Did you need a language that was not included? Share your thoughts and experiences with us in the comments below. but there are single language copies Windows 10 in which the language cannot be changed. Classic Shell is no longer actively developed.